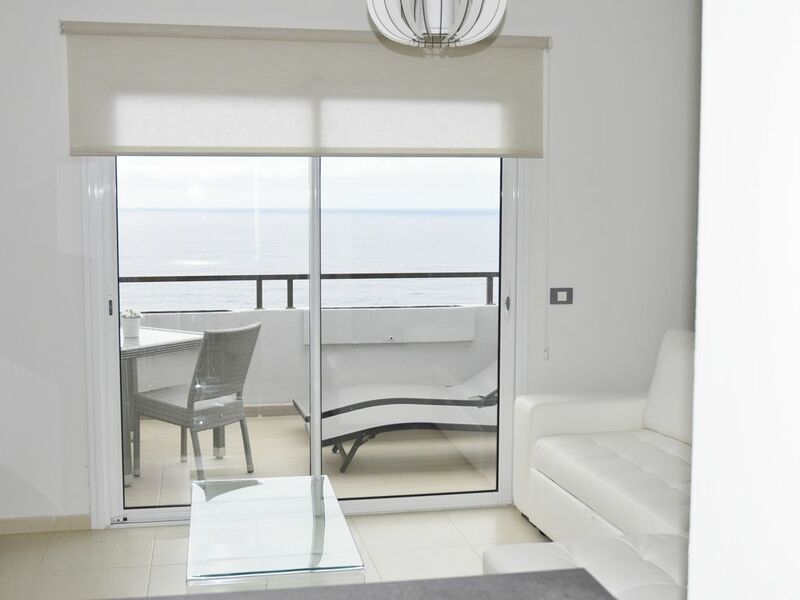 New, bright penthouse, overlooking the sea and the Teide, with terrace where you can sunbathe on the sun loungers and dine with complete privacy. Warm and fully equipped decoration. Room with 150cm bed. dress closet, in addition to a sofa that becomes 140x185 bed. Covered parking with lift to the penthouse floor. 800 meters from the beach, natural pools and restaurants on the coast. Private parking, Wifi, pool, barbecue, gym, playground. Privacy and tranquility, ideal to relax. Manuel was brilliant, always available when needed and very helpful in booking tours etc. the village of Bajamar is not very touristy but plenty of small bars and restaurants great selection. the pool area was great and the fully equipped gym in basement was well used. the local bus service is very good and ridiculously cheap but would advise to hire a car some great spots to visit. really enjoyed our stay. Thank you very much John and Mary for your words. Being your host has been a pleasure, you are great people in every way. I hope to see you again. We enjoyed two weeks of relaxation in Bajama. The weather wasn’t great but we expected this as it is January. However, we were able to totally relax in the apartment, which was beautifully appointed and very comfortable. We choose to eat in mostly and the kitchen was excellent. We especially appreciated the Dolce Gusto coffee machine and NetFlix too! We found the dishwasher and washing machine extremely useful and all the facilities certainly made our stay extra special. We discovered some nice places to walk and to stop for coffee or Tapas. The north part of Tenerife is lovely and green and some of the scenery is stunning. A big thank you to Manuel & Nuria. We really appreciated your waiting late to welcome us, and we certainly felt confident that we could contact you for anything. Thank you also for leading us to the supermarket on our first night! We love your apartment and highly recommend it! Hosting Sarah and Bryan was a great luck. Sehr gepflegte Wohnung mit schõnem Blick auf das Meer. Alles hat sehr gut geklappt. Der Vermieter war immer gut erreichbar und für Fragen offen. Das Haus hat einen schönen Pool und ein großes Fitnessstudio welche kostenlos genutzt werden können. Auf der Loggia kann man ab dem Nacbmittag die Sonne genießen. Alles perfekt und gerne wieder. Thank you for your kind words, knowing and hosting has been a pleasure. Un appartement de qualité avec une vue imprenable. Fransisco a été irréprochable du début à la fin, il sait comment s’occuper de ses hôtes! Son appartement est très agreable, la terrasse donne sur une superbe vue. De plus la résidence offre des extras non négligeables (salle de sport, parking privé, piscine, barbecue,...). Notre séjour s’est donc déroulé à merveille! Je recommande vivement. The accommodation is 15.8 km from Tenerife North Airport, 14 km from the Anaga forests, 13.6 km from San Cristobal de la Laguna.